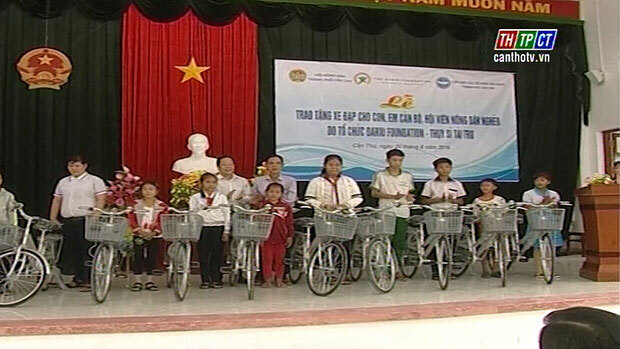 The permanent board of Cần Thơ city farmers’ association in cooperation with the city friendship union have just offered 30 bikes to children of officials and members of Farmers’ associations in Thới Lai, Ô Môn and Thốt Nốt districts. 30 bikes for poor farmers’ children. 30 bikes, sponsored by Dariu Foundation – Switzerland, get the total value of more than VND 40 million. Stating at the ceremony, Mr. Lê Bá Phước – Chairman of the city farmer’s association has shared joy with children and encouraged them to study better in order to become good citizens./.